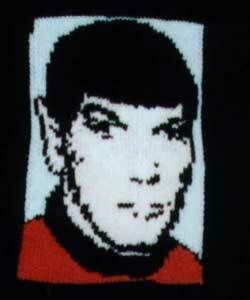 Spock, knit by Jen (used with permission). Copyright 2001 Jean Dale. All rights reserved.